EIGHTY-NINE: What do you love about making music? ASAP FERG: You can just write the lyrics, jump on GarageBand and make a song. It’s cost effective. I love that I can express myself artistically a little bit easier than in any other medium. EIGHTY-NINE: Does it always come naturally to you? EIGHTY-NINE: What do you think allowed you to be able to do it? ASAP FERG: I remember listening to Pharrell’s “In My Mind.” I remember just going through mad stuff and feeling like he was talking directly to me. When I first started making music, it was about beating myself: “I flow like this on this song” or “my kid is just like this on this song,” because I guess I was just perfecting my craft. But once I got my style, I wanted to just make music for people. I wanted to move people. I wanted them to feel a certain type of way. I wanted to evoke emotion. So it’s a lot of self-reevaluation, thinking about what it is about me that’s affected people, and I wanna find that. EIGHTY-NINE: Who are some of your creative influences? Not just musically but artistically. 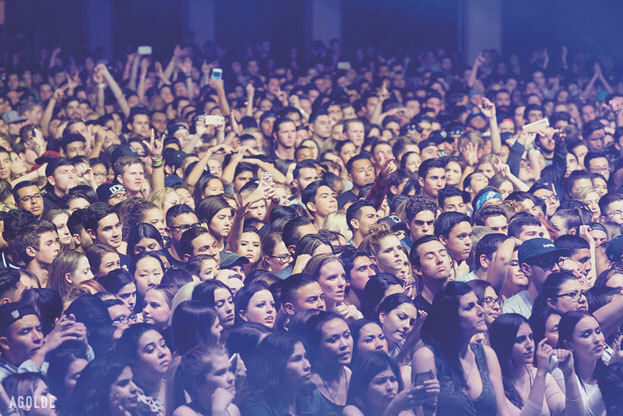 ASAP FERG: I look up to so many people. Michael Jackson, Jay-Z. I have to say Jean-Paul Goude—he’s a dope creative director and did a bunch of stuff for Grace Jones. Salvador Dalí, Basquiat. I love Miles Davis. I love so many people. EIGHTY-NINE: What is it about what they do? 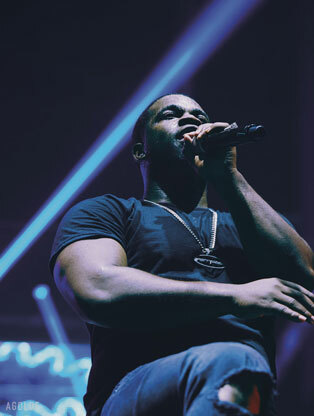 ASAP FERG: Each one of those guys is magical in their own way. With Jay-Z, he strikes you as an ordinary dude, but there’s nothing ordinary about him. And Michael Jackson is just not an ordinary dude. He’s not ordinary in any aspect, so it’s easy to forget that he’s just a person. Miles Davis was just incredible, so innovative. Salvador Dalí just saw things in his own different way. I admire his mind; there’s just something magical about it. EIGHTY-NINE: How important is curiosity? ASAP FERG: My curiosity always leads. I’m just a kid from Harlem but my curiosity made me want to see the world. It made me want to see other things than the street corners and what was happening in Harlem. All my friends wanted to stay on the Hill. You know, we called it “the Hill” because we all sit up on this hill. So nobody goes down the hill, nobody hangs out around the corner, they just stay on the block. I wanted to know what else is going on. There was no females hardly walking through the neighborhood, so I was like, Man, I want to go partying, I want to go have fun. I want to see what life is like. I want to know what it’s like to live like a rich person. I want to know what it’s like to live like a poor person. I want to know what it’s like to just live, period. EIGHTY-NINE: Who are some of the people that keep you grounded and keep you motivated? ASAP FERG: I got a real close-knit family and I thank them for allowing me to be a free spirit and allowing me to let my imagination run wild, because without that base of support I wouldn’t have been able to have half of it. Some kids grow up and they’re not allowed to really think, or they’re just reacting because they have to think about how they’re going to eat tomorrow, or how I’m going to feed my kids or something like that, you know. I didn’t have to worry about how I was going to eat because my mother fed me, and I was just able to live and see things and seek things out, ride my bike through Central Park and see different things. My family is my heroes. EIGHTY-NINE: How did A$AP Mob came together? ASAP FERG: A$AP Mob came together because we was a bunch of like minds. This is like when crews was popping in New York, so I had a crew, Rocky had a crew called Million Dollar Babies, and the Young Lord, aka A$AP Bari, and Illz and Yams was down with a crew called Team Nerd. We all would go to parties together and rep our crew and wear our colors and dress how we dress. I was more of the preppy, like Soho kind of dress. Team Nerd was more of the colorful, like Pharrell, BBC-type style, and Million Dollar Babies was like, “I’m getting money, I’m riding in the Phantom with my shirt off,” you know what I’m saying? But then the crew started fading out and we started connecting with each other through how we were as people and the whole A$AP idea came together. EIGHTY-NINE: You have a new record that just came out? 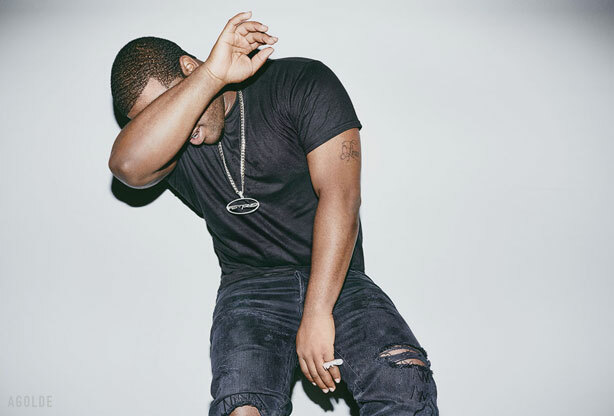 ASAP FERG: This new record is just basically showing people who I am as a person, because I feel like a lot of people don’t understand me and I just want them to know what led me to this point, because we just kind of came out, A$AP blew up. They just seen the glory of it, us kick down the door, but before that, it was a bunch of trials and tribulations—people not accepting us, not accepting the way we thought, not accepting our style. The hood wouldn’t accept us, like, “Yo, what are y’all wearing?” We had to go through all of that. I would walk through my neighborhood with girls and they think they’re my friends. They think pretty girls is my friends just because I dress different. No, like, these is my shorties, you know what I’m saying? So I guess we’re the jocks now. We’re the cool guys at the lunch table, but it’s all good because the whole process has been fun. If it was easy, everybody would be doing it, right? So I’m happy in my position. I think I’m most comfortable being a black sheep, because I’ve always been a black sheep. EIGHTY-NINE: What are your goals? ASAP FERG: My goal is to create new art around the world and just keep motivating young kids and adults, because what I’ve learned is sometimes parents is not the only ones doing the teaching; children can teach their parents too. Like my mother didn’t know where I was going in life. In my head I always knew I was going to be somebody. I just was trying to figure out how to channel it. The traditional way—go to school, go to college, graduate, try and get a job—which she did but wasn’t for me. I was going to do it my way, and I showed her another way. I just want people to know: Follow your heart, follow your dreams, and don’t let nobody tell you, you can’t be who you are in your mind. EIGHTY-NINE: Is it important for you to be a role model? ASAP FERG: Very important, because no matter how you look at it, that’s what I am. I’m a role model. There’s thousands and thousands of kids looking at me, so no matter how many artists say, “Oh, I’m not trying to be nobody’s role model,” you are somebody’s, so what are you going to feed these kids? Madonna told me, “I found out about you because my son has your song on his ringtone. He has ‘Work’ on his cell-phone ringtone,” so it’s like, “Geez! Madonna’s son is listening to my music.” It’s important what I feed these kids. It’s important what I feed the universe.